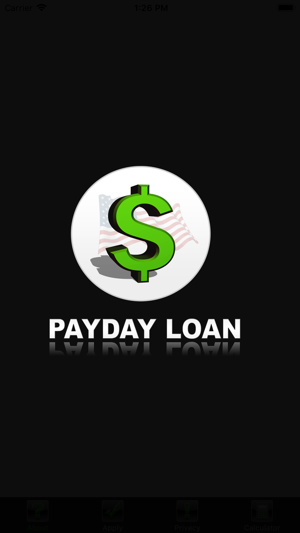 Easy to use USA Payday loan calculator. 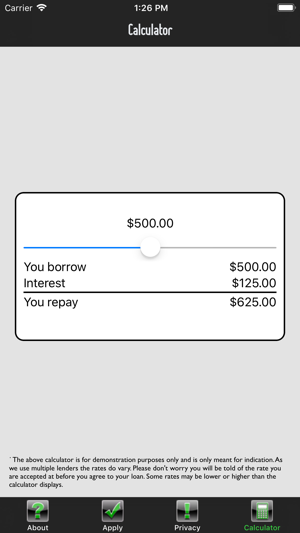 Calculate repayment instantly. Apply for a payday in the USA and get money in hours. 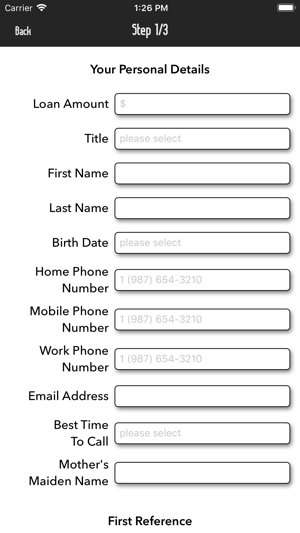 Password protect your data to make future applications quickly. 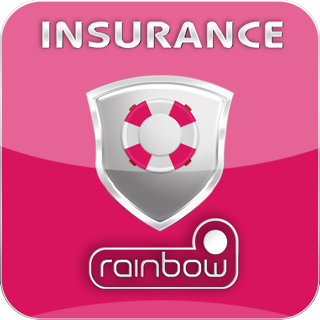 With over 10 years’ experience in the short term/ payday loan industry, Rainbow is Your trusted partner! Our instant short term loans let you take control of your finances and save your time without the mountains of paperwork. The payday wizard works alongside the biggest Pay Day Lenders in the US, with instant access to the top lenders all competing for your business. Install now our free application and apply to loan up to $1,500, even if you have a bad credit history! After completing the quick and easy application form the Pay Day wizard gets to work, with our intelligent computer software instantly displaying the lenders that best match your individual requirements. 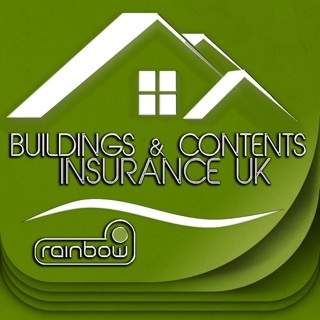 If you are happy with the results you can review the paperwork, complete any further documentation required and the money will be instantly credited to your account. Make use of the Pay Day Cash Advance Calculator to see what your repayments will be, loan between $100-$1,500, download and apply now! It’s that simple there’s no need to go anywhere else! 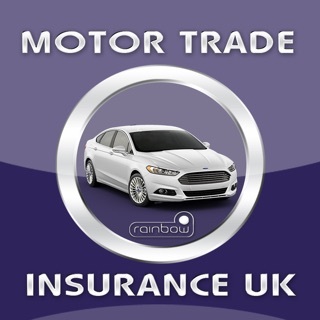 Working alongside all the big payday lenders, some you may have seen on the TV! We appreciate all your feedback, please let us know your opinion of our service in the app review! 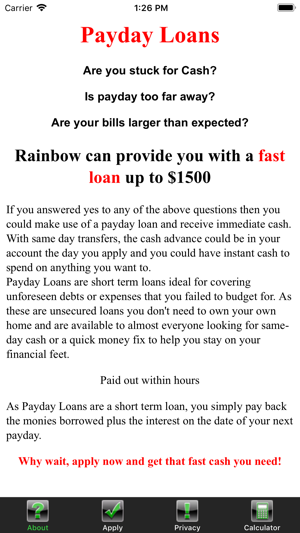 For more information, please visit our website www.paydayloansrainbow.com .